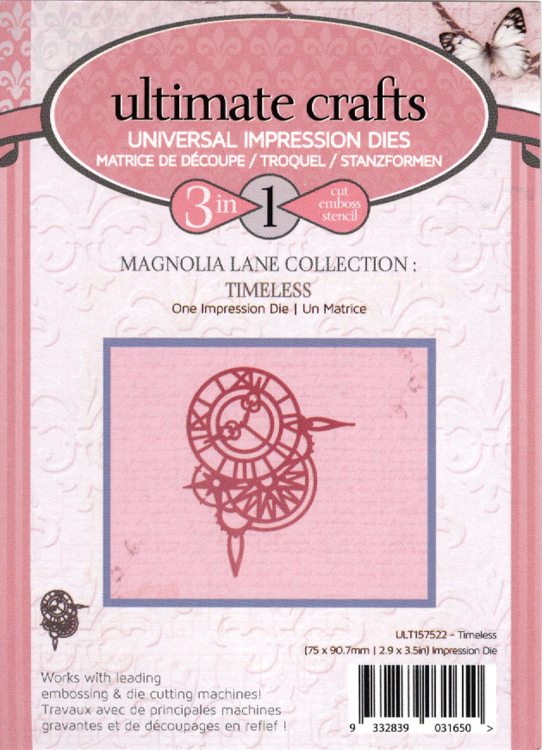 Magnolia Lane Collection features pretty pink, feminine and vintage designs that compliment each other. 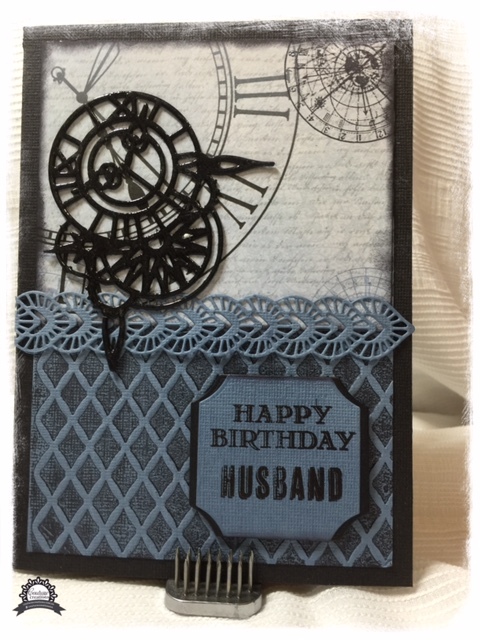 The collection contains cutting dies, embossing folders and paper. 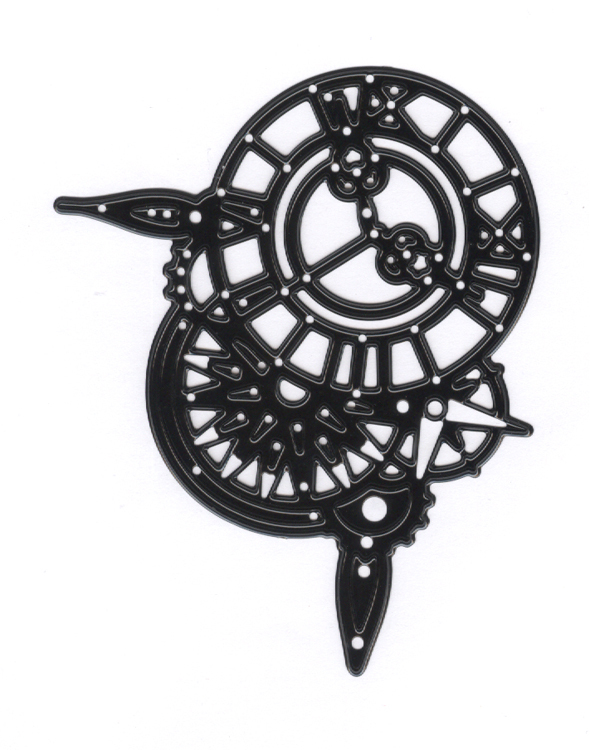 This die has a clock face and the gears showing behind. Works with leading embossing & die cutting machines.